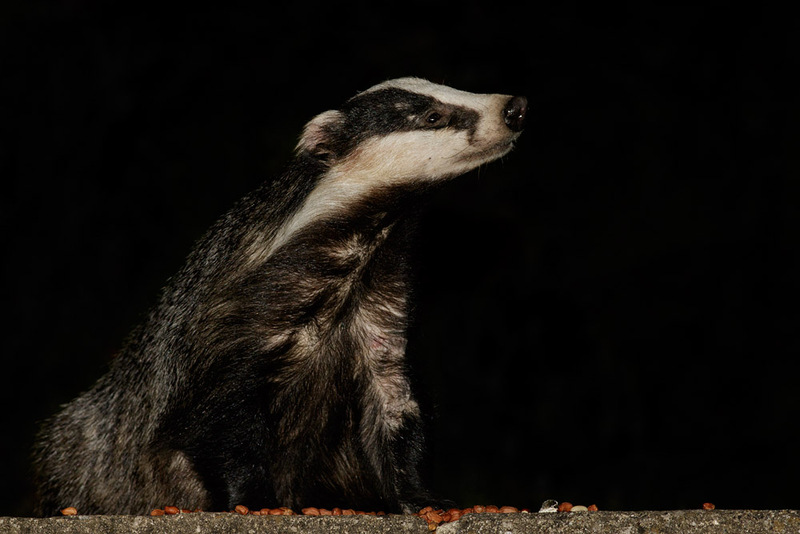 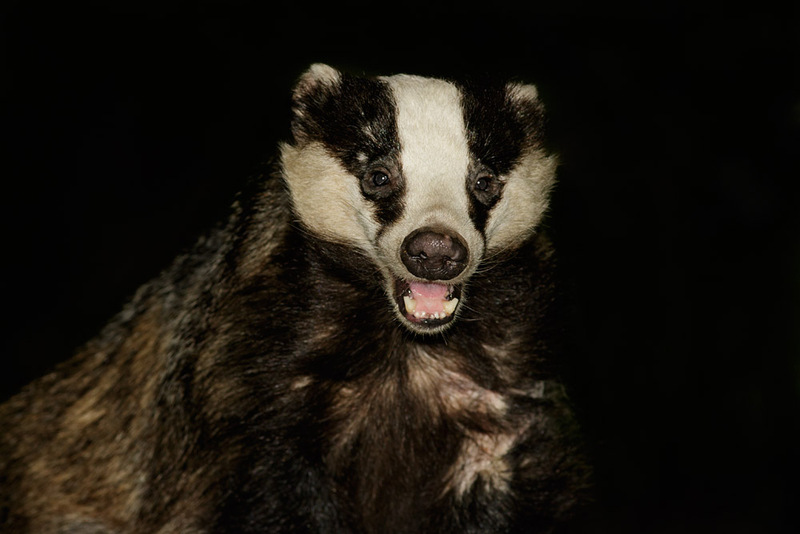 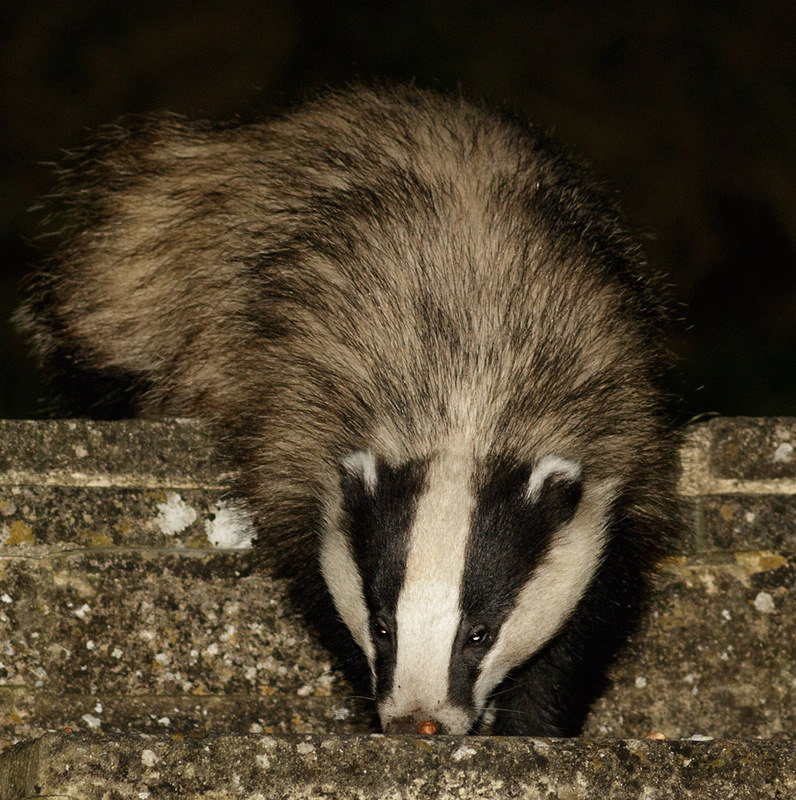 After several years (almost a decade) of foxes dominating the garden, 2015 turned out to be the year of the badger (Meles meles). 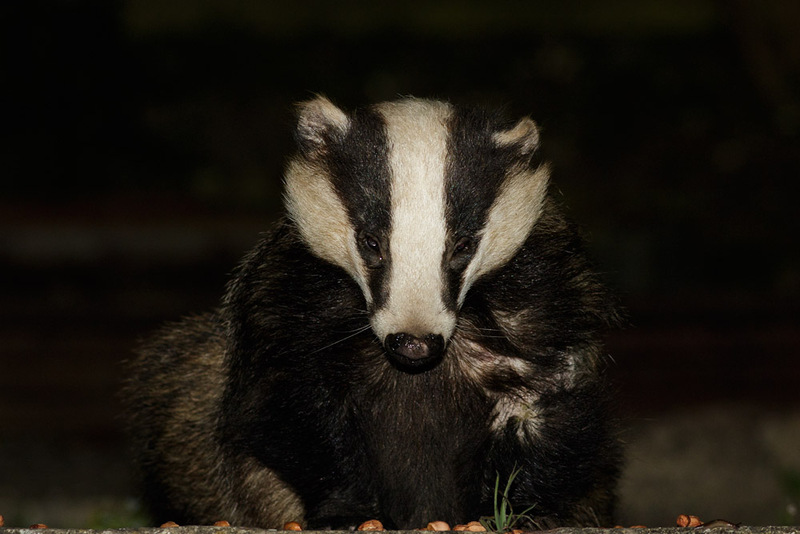 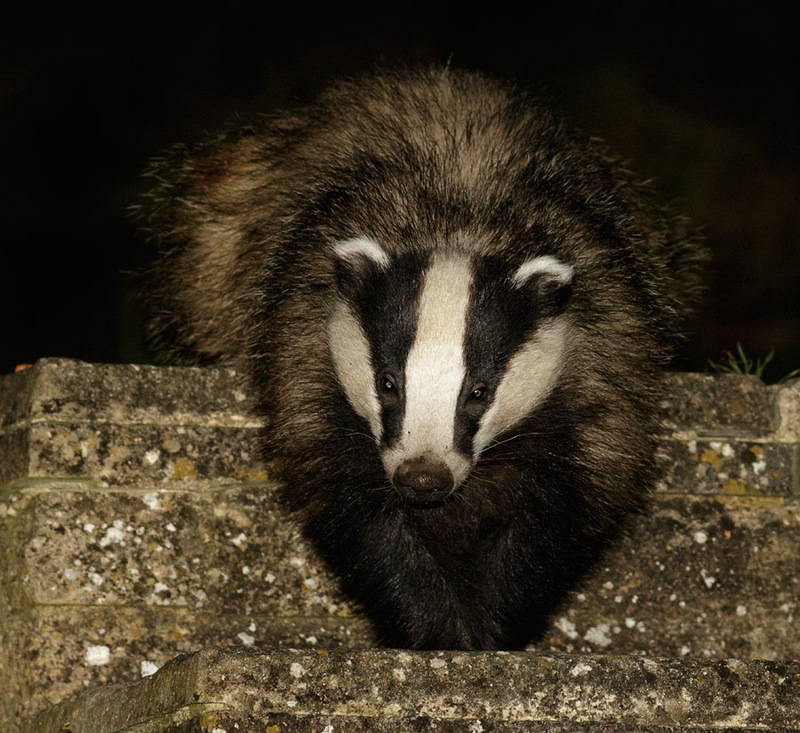 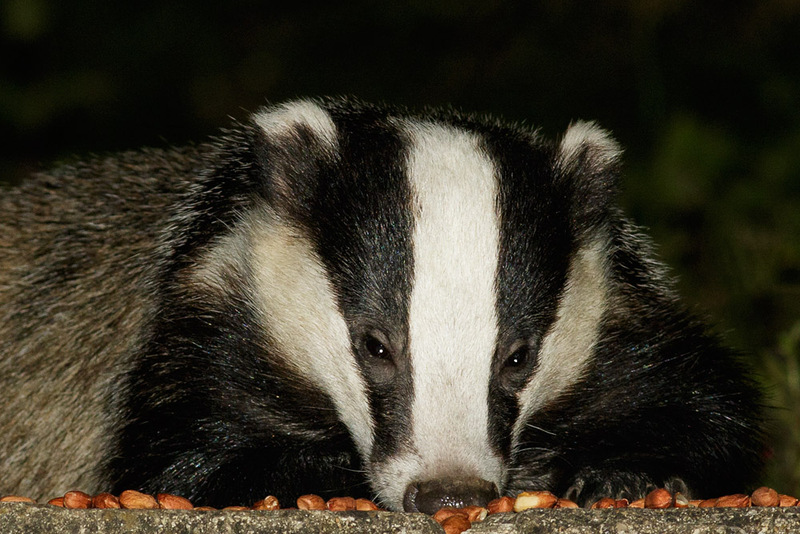 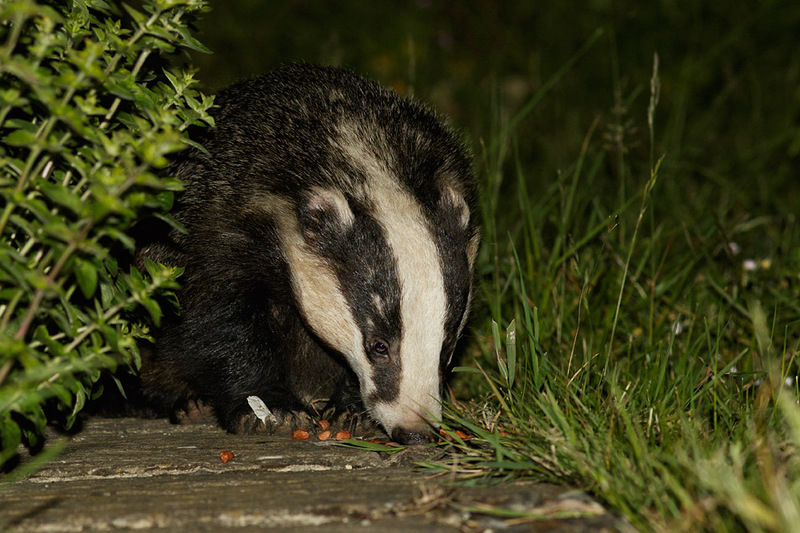 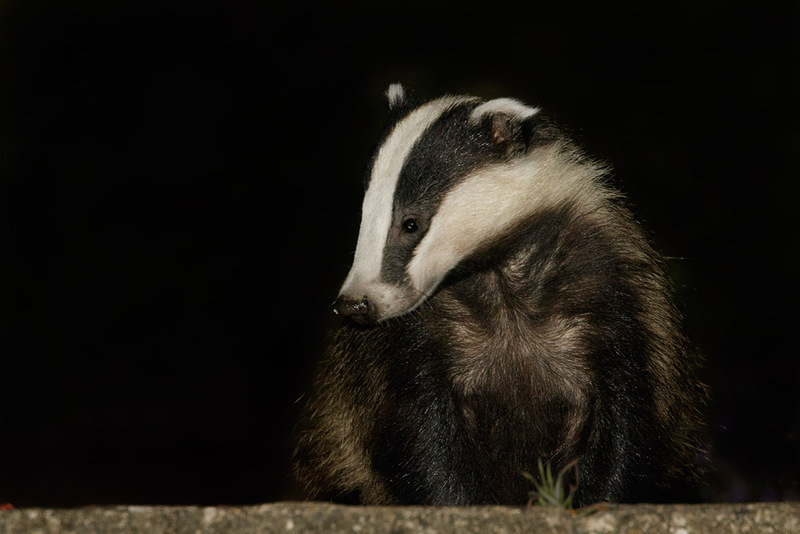 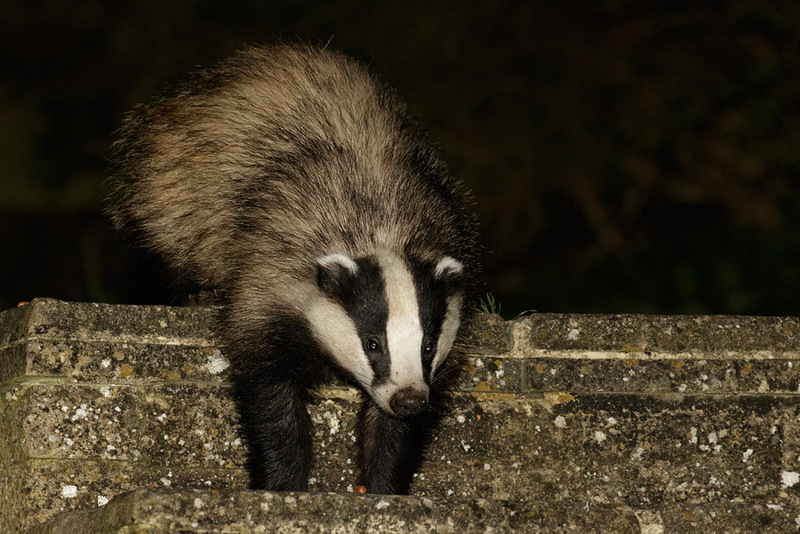 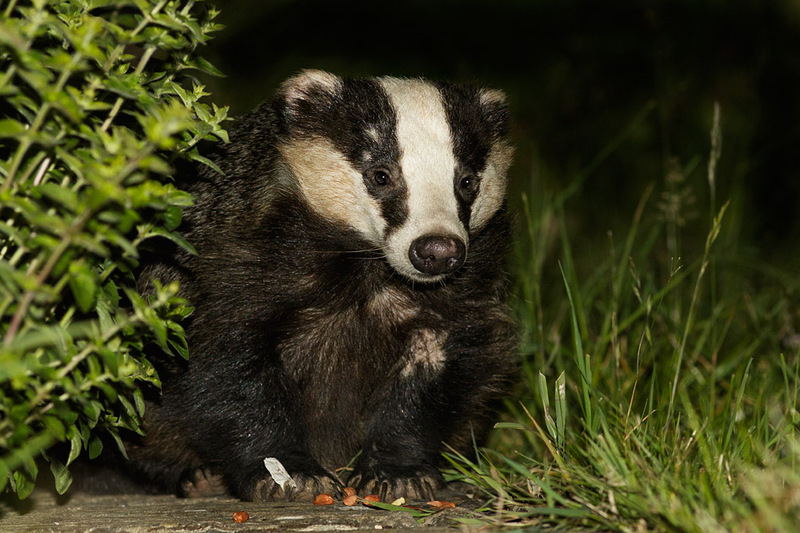 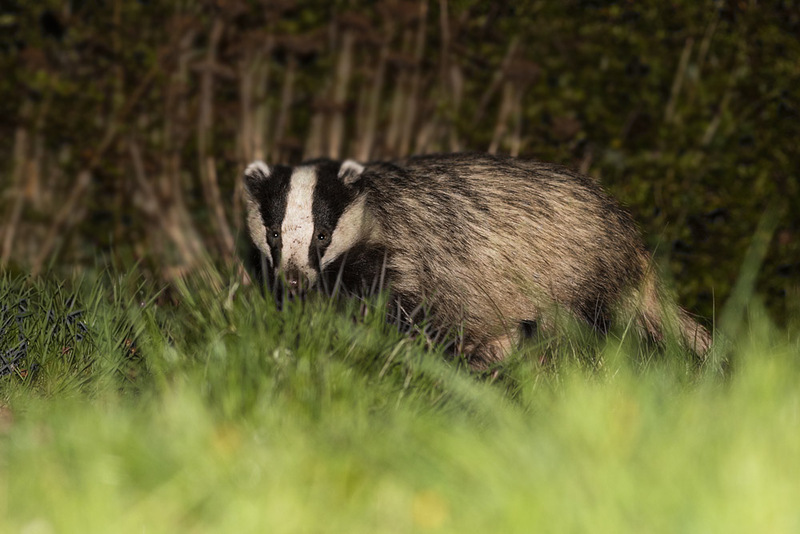 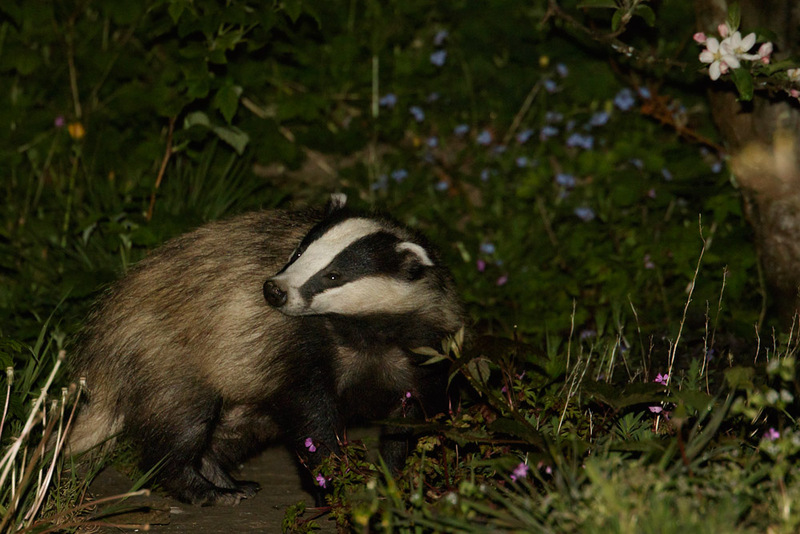 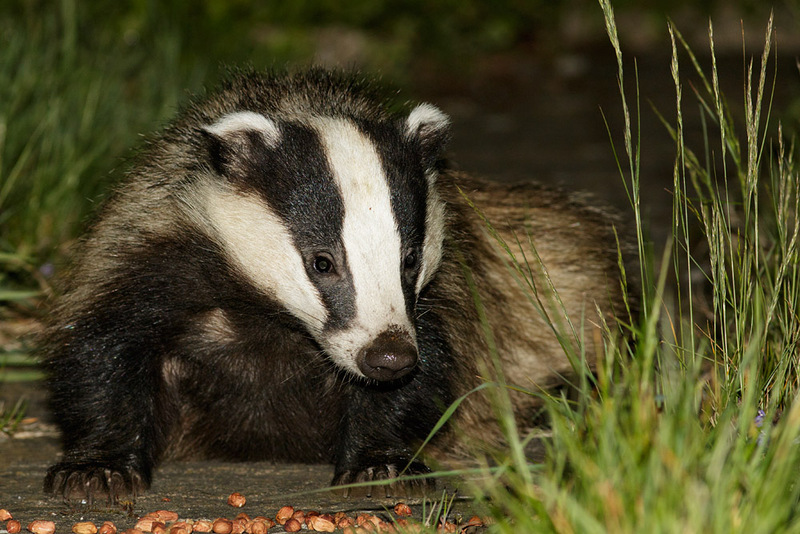 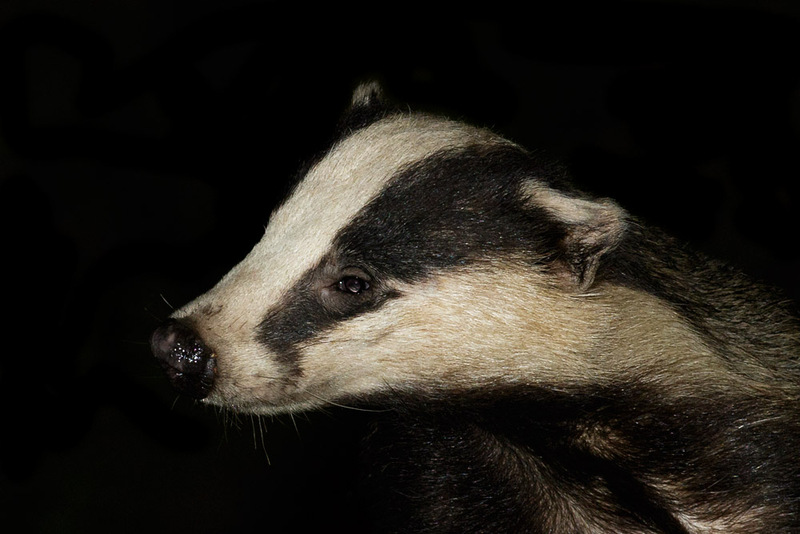 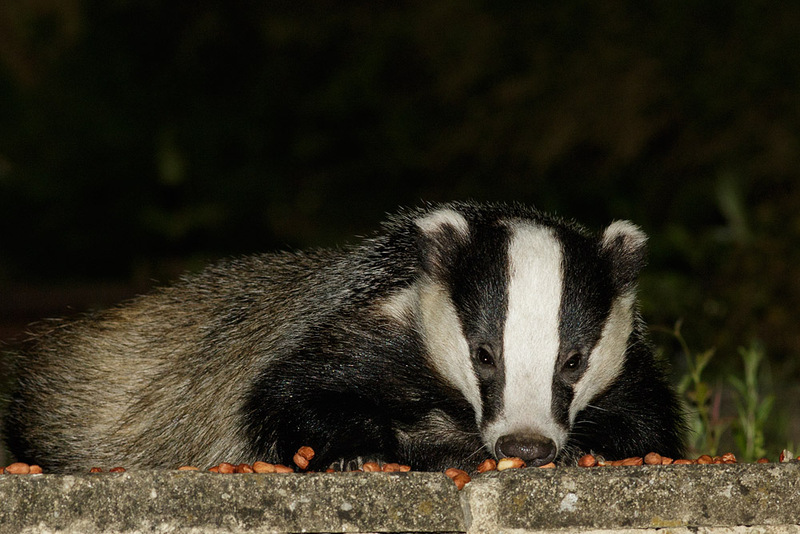 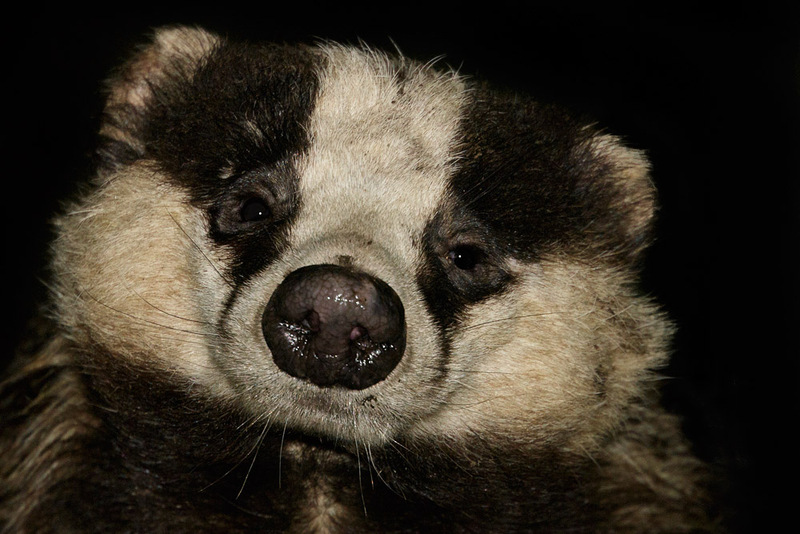 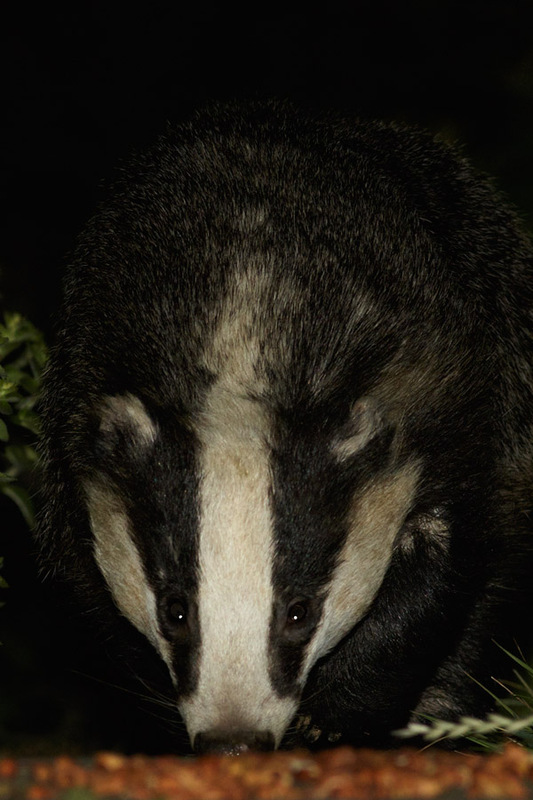 Three badgers have been visiting, though only two of them feature in these photos. 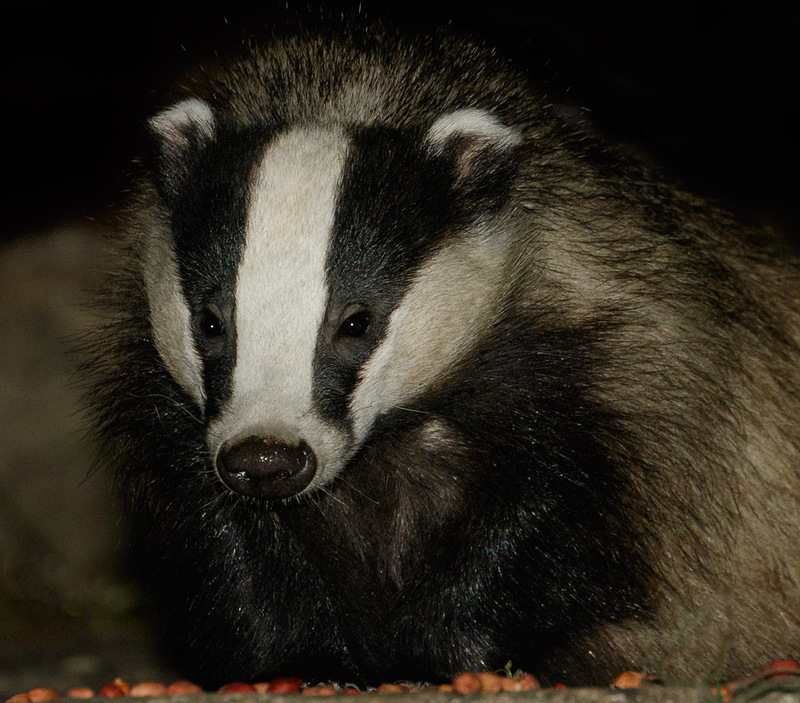 A smaller badger, and the more dominant one (male?) 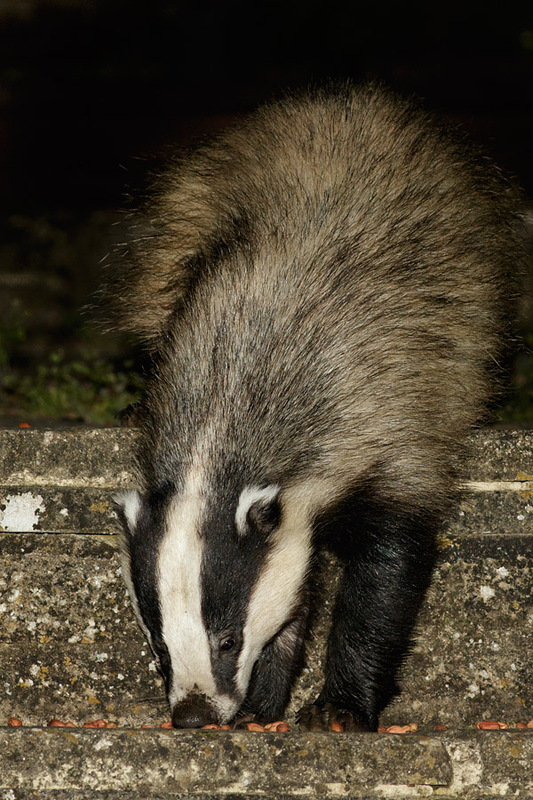 who has some distinctive thinning of the coat on his (?) 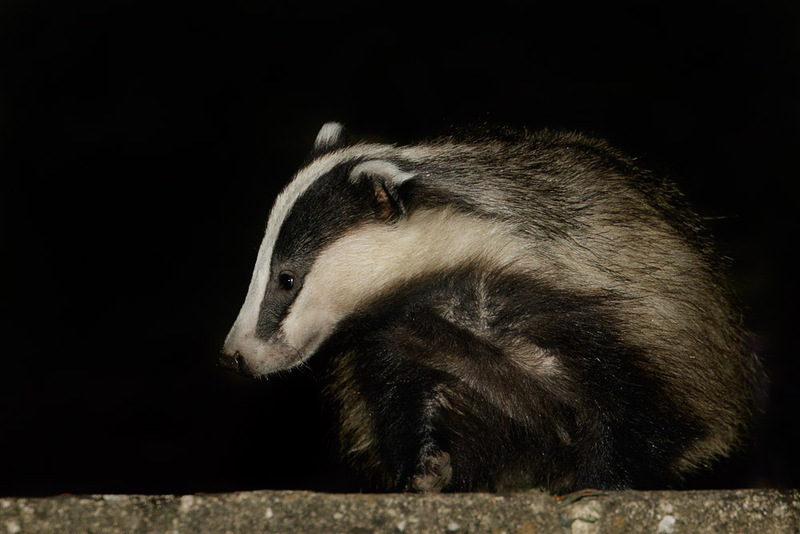 front left leg. 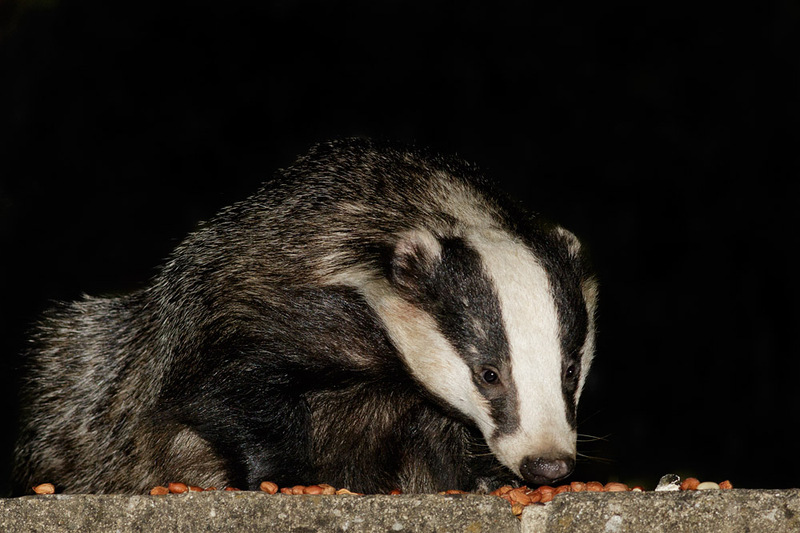 All photos taken with the Canon EOS 7D Mark II, and the majority with the EF 200mm f/2.8L II USM lens. 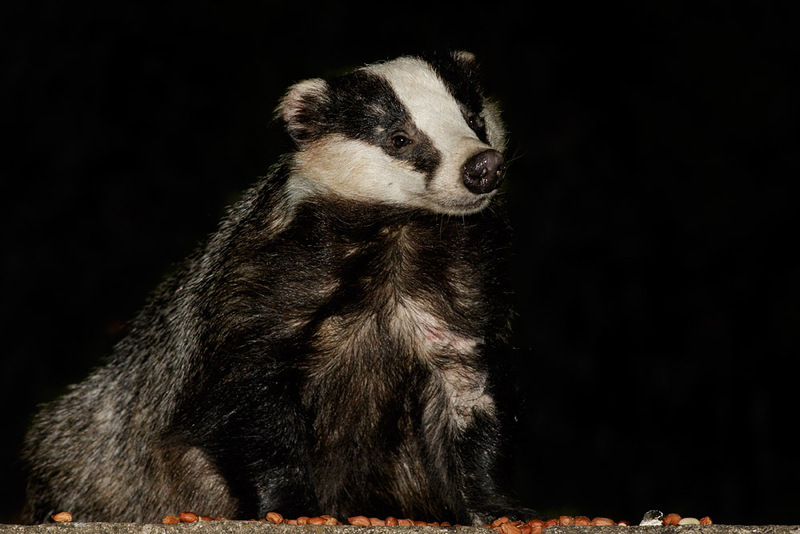 I used an old Canon 430EX flash unit to light the shots.